The 20 year journey of Morphogenesis reflects a trajectory that has established sustainable design as the governing principle and not as a tagline. 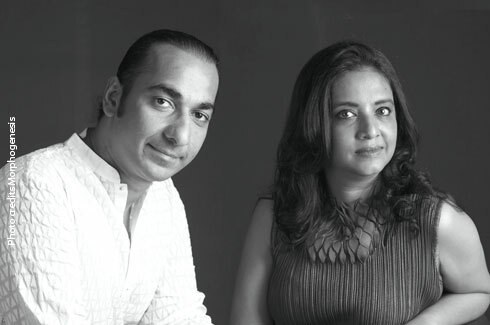 Founded in 1996, by architect Manit and Sonali Rastogi, the firm had set out to ‘build a global discourse on contemporary Indian architecture’, and ever since, the vision has evolved and developed in a collaborative of 130 people. 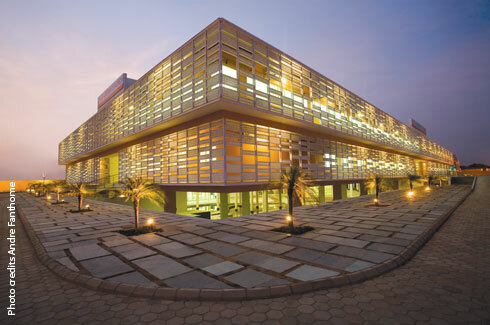 Morphogenesis does not believe in just overlaying of energy-saving practices or limiting their design to just equipment-centric methods – as is seen in Jaipur’s Pearl Academy, where they have implemented traditional passive techniques. The practice has received global recognition for their efforts to promote all-inclusive sustainable design, and has won several prestigious awards. To commemorate their 20 years of path-breaking practice, Images Publishing Australia is publishing a monograph of the firm’s works, under their Master Architect Series, titled Morphogenesis: The Indian Perspective, The Global Context. In this interview, Manit and Sonali share with us snippets of this remarkable journey, discuss future milestones and their ambition to relentlessly work towards achieving them. Morphogenesis has successfully completed a 20 year journey in architectural practice. Tell us about the evolution, graph, and the future milestones that you hope to achieve. 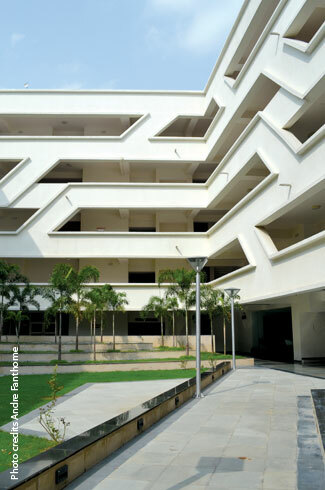 We started Morphogenesis in 1996 as a two-person practice working out of a garage, with no certainty of how the future would unravel for us, yet with complete clarity of purpose – to contribute to the definition of and to the building of a global discourse on contemporary Indian architecture. We have always looked to the processes in nature – being responsive to context, maximum efficiency with minimum waste, closed loop – to define our work and organizational structure. At Morphogenesis, we feel most strongly about sustainability – sustainability not understood as purely energy, but environmental, social, cultural and financial sustainability. 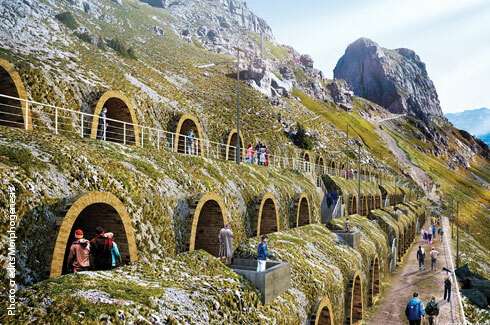 This has elicited varied architectural responses from us, which sit within the continuum of the history of the region as an investigation into sustainability through three pillars – passive design, resource optimisation and contextual identity. It has been a fruitful, rewarding 20 years and Morphogenesis is now a collaborative of 130 people with our work spread across South Asia and Africa, the global recognition of our work cementing our faith in our vision. Today, Morphogenesis sees itself as an institution in perpetuity – a living, thriving ecosystem, a repository of data, information, knowledge and wisdom. With two ingenious architects at the helm of the firm, how do the brainstorming sessions play out and finally reflect in the work? We share a strong working relationship with a shared vision for the firm and its ethos and values. Our working strengths are quite complementary to the other’s which makes for a solid team. On project level, we brainstorm together to initiate a concept collectively with the design team. Manit works to define the passive design strategy, setting out goals and metrics to be achieved. Sonali is the details person, who carries that through into the actual design, ensuring the smooth working of the operations in delivering projects on time and to quality. As far as differences of opinion go, it’s not unlike dealing with any other creative, thinking individual. Both of you are actively involved in academia and teaching. How has that helped your practice? 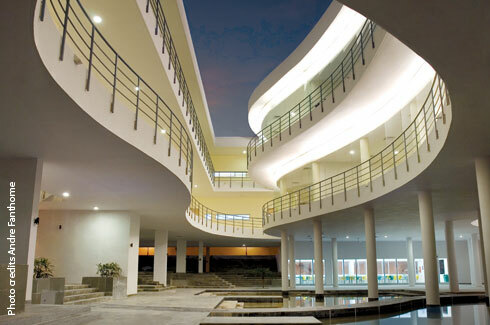 The Indian architectural educational system comprises of 350 schools of architecture; but the curriculum of schools, the methodology, and the pedagogy of teaching is not suitable to the idea of sustainability being at the core of India’s modernity. It creates architects who are in some sense divorced from the process of how a building is put together, because the nature of our buildings has completely changed in the last 20 years. Morphogenesis has worked as a consultant to a school of architecture where we have contributed to rewriting the curriculum, to bring sustainability to the heart of the programme and not as a separate subject. It is integral to all the subjects being taught; the underlying glue that connects structure and MEP, lighting and landscape, etc. Within our practice, we use design challenges as research opportunities to explore, invent and record results for future use and refinement. ‘Learning’ is Morphogenesis’ strongest value, and each Morphogenesis member learns and contributes to learning in equal measure. We strongly believe that practice must solve ‘real’ problems that can feed back into academia rather than purely the other way round. That is how we position our practice and our work as the bridge between academia and research. What are the fundamental parameters of a holistic sustainable project? 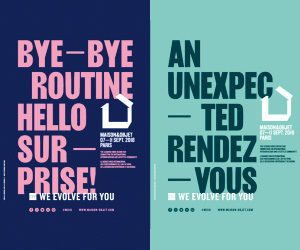 What common mistakes do designers make while conceptualising? 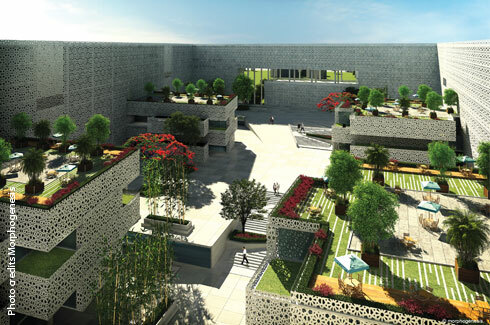 Today, developments across India are being designed with a layer of sustainability or ‘green’ superimposed. There needs to be a conscious attempt to step away from this overlay system of green points and instead incorporate passive approaches to design, right from conceptual and planning stages, to be truly sustainable. Morphogenesis’ approach to a project is to first estimate the energy needs of the building and subsequently question those energy needs. Passive design techniques are employed to create a microclimate, which leads to a typically 10 degree Celsius drop in the perceptible temperature on site. Following this, the structure is passively designed for natural ventilation, appropriate thermal massing, and an optimised envelope which attempts to reduce heat loads by 50% or more by various means; including optimising WWR (wall to window ratios), etc. and an envelope load less than 1 watt/ sqft. The reduced demand is then serviced through efficient equipment and systems like sensors and actuators, heat recovery systems, etc. Where possible, we try and supplement with renewable energy means. Every subsequent project takes Morphogenesis closer to our goal of designing net zero projects. A judicious effort for detailing is distinctly visible in your work. How does the choice of materials, construction techniques and their application finally take shape on the drawing board? India has a wealth of master craftsmen, who are the knowledge bearers of the tradition of building with limited and local resource, and it is that architecture, that has caught people’s imagination worldwide and has been India’s ‘Identity’. With the projects that we undertake at the firm we consciously invest efforts in using traditional methods and materials while working closely with many crafts-based industries in India that are at risk of dying out. In the last 20 years we have locally engaged with traditional craftsmen and artisans to re-energise and re-interprete local materials in several projects by Morphogenesis. We look at rooting our design solutions in the local, physical, and geographical character. Our aim is to work towards generating pedagogical techniques that address ideas of contextually and culturally sustainable design that is specific to and applicable within the broader Asian context. Are traditional methods easily substitutable vis-a-vis our modern materials and techniques? Can we creatively apply these traditional methods that would allow us to use them more efficiently in an urban context? Morphogenesis’ design approach embraces both tradition and modernity simultaneously, attempting to infuse our architecture with the wisdom of a rich and ancient heritage that has embraced sustainability and diversity in environment, resource and materiality, yet being technologically up-to-date and relevant in today’s context. Our works often borrow from traditional passive methods of building such as in the Pearl Academy, where the architecture is a confluence of modern adaptations of traditional Indo-Islamic architectural elements and passive-cooling strategies commonly used in Rajasthan’s desert climate, such as self-shading courtyards, water bodies, baolis (stepwell) and jaalis (fretted or perforated screens) to negotiate the large differential between internal and external temperatures. Furthermore, traditionally inspired low-cost methods of roof insulation were employed to cut down heat absorption, such as inverted matkas (earthen pots) bought from local markets. These traditional techniques ensured that the contextual identity of the region has an intimate relationship with architectural identity of the built form. Any current global architectural practice that inspires you… and why? We would rather pick a country that we are inspired by, rather than a specific architect, and that is Japan. It’s difficult to think of another place where the culture, philosophy, religion and lifestyle of the people permeates through and finds such deep expression in design and architecture. The design fundamentals of simplicity and minimalism, integrated with cutting-edge technology and material innovation is manifested in the works of architects like Toyo Ito, Shigeru Ban, Tadao Ando and others. Or the fashion sensibilities of Issey Miyake or Junya Watanabe whose garments are almost architectural in their construct and material technology. Crucially, this high-design sensibility is not limited to an elite set of product portfolios, it’s all pervasive. A common vein in all the design that emerges from Japan an unmistakable ‘Brand Japan’, something we crucially need to develop collectively here. Your pick of heritage structure that displays idiosyncratic construction techniques, and has made an impression on you. 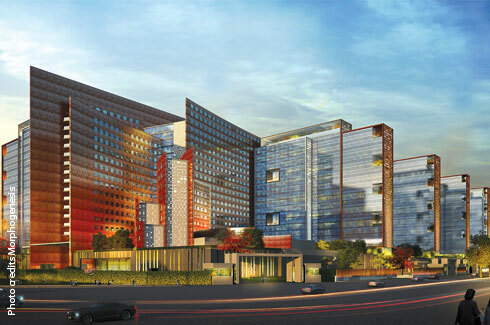 In the recent times we have been doing a lot of work in Gujarat, including designing the world’s largest office building for Surat Diamond Bourse. Each visit peels a new layer of architectural discovery. A structure that has recaptured Sonali’s attention is the Adalaj stepwell, a stunning example of Indo-Islamic fusion architecture; still functional and in pristine condition. Given that we liberally borrow from the philosophy of courtyards and step wells in our passive design strategies, visiting the Adalaj after 25 years only reinstated our conviction to further push the envelope on sustainable design. Is there a way to effectively regulate the system to incorporate sustainability in urban planning, thus broadening the overall impact? We believe that design should be an emergent product of the process and is greater than the individual architect. Today’s architecture needs to be a product of the collective, wherein the organisation acts only as a synaptic glue connecting individuals to create a collective genius. Starting at the educational grassroots level; students, practitioners, architects, designers, urban designers, master planners, environmentalists and various government agencies everyone needs to understand the importance of sustainable development and contribute towards it. Could you name one building which will always be a landmark structure in architecture for you? Mehrangarh fort would definitely top the list for us when it comes to landmark structures. This stunning, fortified structure sits on a perpendicular cliff, 400 ft above the sky line of Jodhpur. 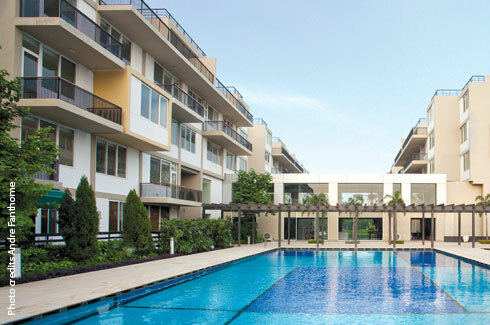 This red sandstone structure is planned with multilevel courtyards that are liberally scattered across the form. While most fortified structures are introverted in nature, the Mehrangarh fort looks at bringing in the stunning external views. These collection spaces form vantage points which frame the haunting beauty of the city below, whilst being environmentally sensitive to the region, and contextually contribute to the region’s identity. The fort truly celebrates the hierarchy of movement within space. Tell us something about your various initiatives and ventures. Apart from all our CSR work like Anganwadi, Amarnath and a Cancer Day Care Centre, Morphogenesis also attempts to give back to society with its outreach event series called ‘Manthan’ to be proactive in efforts to rediscover the potential of craftsmanship and to develop a platform for discourse. Here, cross-pollination of ideas takes place with creative professionals at the philosophical level, to enable new emergent potential for design and craft. Morphogenesis believes that by actively engaging and connecting together all these creative people across various industries, holistic solutions to the multifaceted problems in both the architectural and social realms, can be achieved. This process is generating a new collective vision and new perspectives that in turn, are enabling the emergence of a design and urbanism discourse in the contemporary Asian paradigm that is invested in bridging two cultures: the local with the global and reinforcing the idea of ‘An architecture of almost somewhere’. Architecture is not just a Profession; it is a Way of Life! The commitment required is paramount as there is a tremendous responsibility to one-self, the profession and community at large. There is no clear distinction between our living, working, holidaying, etc. We feel fortunate to be continuously working towards something that we feel so strongly about. We find ourselves unable to disconnect from observing design as it exists in our everyday lives.